Portfolio 21 is a unique investment management firm based in Portland, Oregon. I recently wrote a book chapter reviewing their business practices for the upcoming book "Investing in a Changing World", to be published by Wiley in late 2011. It is such a fascinating approach to investing that wanted to share some excerpts from my interview with Portfolio 21 Director and Co-Founder, Carsten Henningsen. What sets Portfolio 21 apart from many investment managers that I’ve come across is that they apply the principles of The Natural Step and The Global Footprint Network to their investment process. As a result, Portfolio 21 does not invest in any mining, oil or gas stocks. Not one. And it still performed relatively well compared to its benchmarks. Why did you start Portfolio 21? I started Portfolio 21 in 1982 with an SRI mandate. At that time there were just a handful of SRI investment companies and we were the first in the Pacific Northwest. Others at the time included Pax World Fund, Calvert Group and New Alternatives Fund. I was 22 years old at the time so Progressive was my first investment job. I had just graduated from college and asked myself the question: how can I choose a vocation that helps to make the world a better place? During my school years I had traveled to many countries and seen the impact of multinational corporations on the communities of developing nations. I decided to try an investment approach that could possibly influence corporate behavior for “progressive” social and environmental change. I then learned that others were using the approach and they called it SRI or ethical investing. Those of us who were around in those early years of SRI were activists first and money managers second. We had absolutely no idea that this approach would become a viable industry. SRI or ESG has certainly exceeded our wildest expectations from the 1980s perspective. By 1999, our company was an established investment management company and we saw a gap in the environmental approach to SRI. We embarked on a year‐long project to develop comprehensive environmental selection criteria for a new mutual fund, Portfolio 21. The process was largely informed by The Natural Step. Over the past 11 years, the fund has been quite successful and grown to $450 million in assets. It became clear that our company should rebrand itself from Progressive Investment Management to Portfolio 21 Investments. What is your value proposition, what do you offer to clients that is unique? Portfolio 21’s investment strategy is managing ecological risk and opportunity. We believe the greatest risks facing all publicly traded companies are the growing ecological challenges caused by humans consuming beyond the limits of what our natural systems can support. We believe the best long‐term investment opportunities are found in companies using environmental frameworks to make business decisions. These companies understand that the Earth's ability to provide natural resources, such as oil, or clean air and water—its ecological capacity—is finite and that "business as usual" is an inadequate response to a likely environmental crisis. The business and investment case for environmental sustainability has become increasingly clear. We believe a company's understanding of sustainability principles demonstrates the qualities of innovation and leadership that create a distinct competitive advantage and build long‐term value. Portfolio 21 invests only in companies that are integrating intelligent and forward‐thinking environmental strategies into their overall business planning. We evaluate companies using comprehensive financial and environmental analysis designed to identify those best equipped to manage ecological risks. Why did Portfolio 21 choose to base its investment philosophy on the Natural Step and the Ecological Footprint? Both The Natural Step and the Global Footprint Network have informed the investment philosophy and company selection criteria because both organizations have researched environmental issues in the context of ecological limits. The term ecological limits represents the myriad physical impediments to traditional growth that are happening now or that are on the horizon. The capacity of our planet to provide the natural capital and services we need to maintain the global economy at its current pace, much less at accelerated rates, as well as the human response to this challenge create great risks as well as opportunities for investors who respond creatively. Portfolio 21’s investment approach addresses the long‐term and short‐term challenges of ecological limits. We believe that companies equipped with a longer‐term view will have the most attractive risk/return characteristics. The differentiator is the extent to which a company is translating the risks and opportunities of ecological limits into prospects for long term profitability. Many of your competitors subscribe to best in class approach, why has Portfolio 21 chosen not to take this approach? Portfolio 21 does not subscribe to the best in class approach because we feel that there are certain sectors in which the ecological risks are so high that the companies operating within them will not remain financially competitive over the long term. For example, we do not invest in oil or nuclear. Oil companies can be found in the portfolios of other SRI funds. How was Portfolio 21 able to avoid investing in BP? 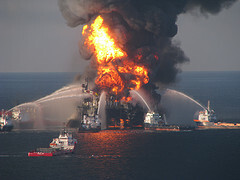 What lessons did you draw from the BP oil spill, and how can it be applied to other companies? The risks associated with exploration and extraction of natural resources are huge in terms of environmental liabilities. This is true for nuclear and mining as well as oil. Our selection criteria and scoring process does not allow a company like BP or Tokyo Electric to be approved for the fund. Many clean tech companies rely on products obtained from mining (i.e. solar panels, wind turbines). Do you still invest in these companies given your philosophy NOT to invest in companies that rely on the extraction of metals from the earth? Why or why not? In general the electronics sector relies on precious and/or rare metals. For this reason, Portfolio 21 seeks companies, both clean tech and traditional electronic, that comply globally with RoHS, establish take‐back programs to recover precious metals and limit electronic waste, and utilize life‐cycle analysis and/or design‐for‐environment principles to design products that require fewer raw material inputs. Do you invest in automobile and airline companies? Why or why not? Transport accounts for approximately 24% of the world’s CO2 emissions, of which road transport accounts for the majority (75%). Portfolio 21 will only invest in the auto and airline sectors if the company is making significant efforts to reduce the transport emissions from its products. Currently there is only one holding within the auto sector, Volvo Group. The company’s strategy is to be a leading supplier of natural gas and biogas engines in Europe, particularly in commercial applications, such as trucks and buses. Volvo believes that natural gas and biogas (from waste materials and biomass) will make up a large part of future fuel use due to reduced availability of oil. Volvo is also developing alternative technologies, such as hybrid engines, and coordinating multi‐industry biofuel feasibility projects.